PRICE DROP! Watch Dogs 2 PS4 / Xbox One - Now only £22! 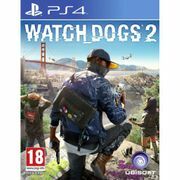 Watch Dogs 2 PS4 Cheapest Price £24.99 at Smyths Toys. HALF PRICE!